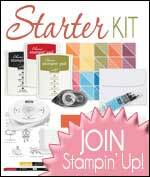 Today's project is from Stampin' Up! 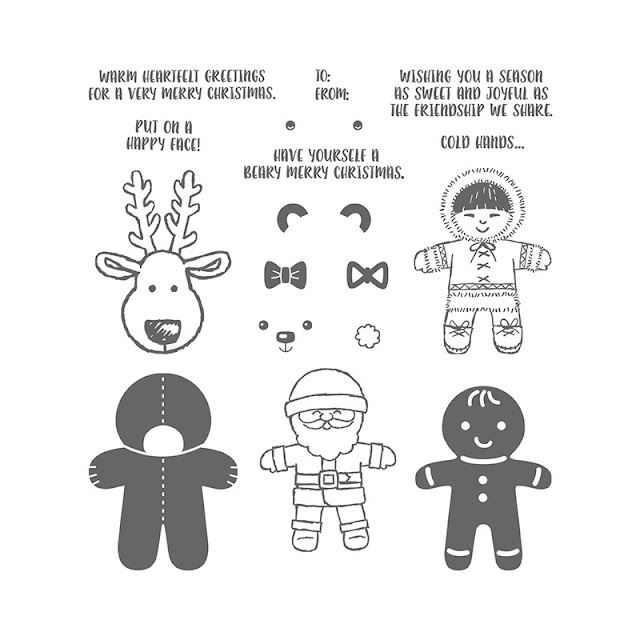 HQ and features the gorgeous Cookie Cutter stamp set with matching Cookie Cutter Builder Punch. The stamp set is available in photopolymer (£19.00), and there is also a bundle (£31.50) - you get the stamp set and the punch together at a reduced price (10% off). 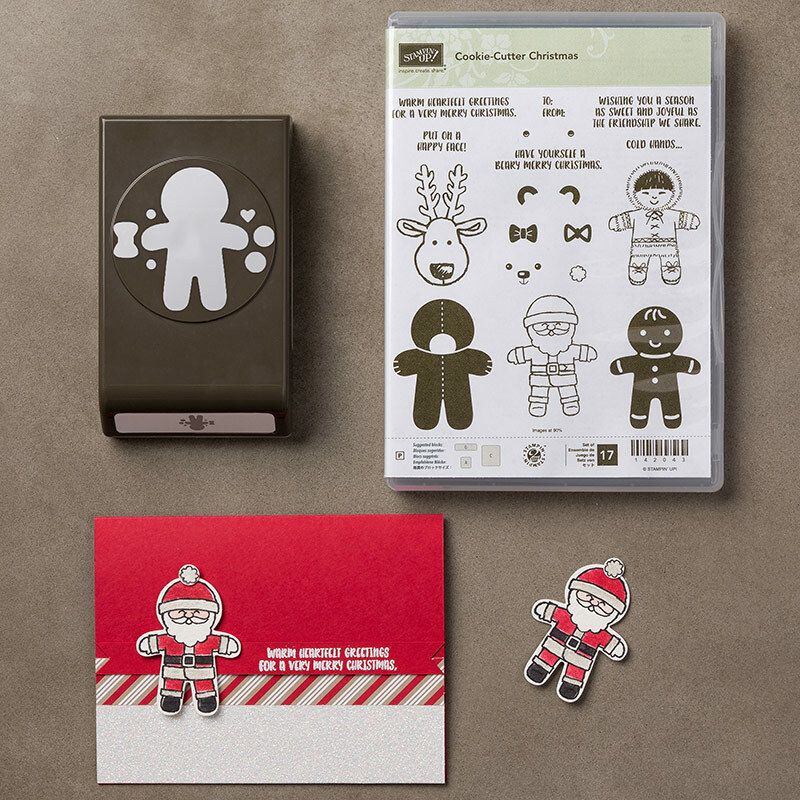 So many wonderful Christmas cards and projects you can create with this set! If you'd like to order it you can simply click on the names above, hit the Shop Now button at the top of the page, or get in touch with me on the address below.